P1104. 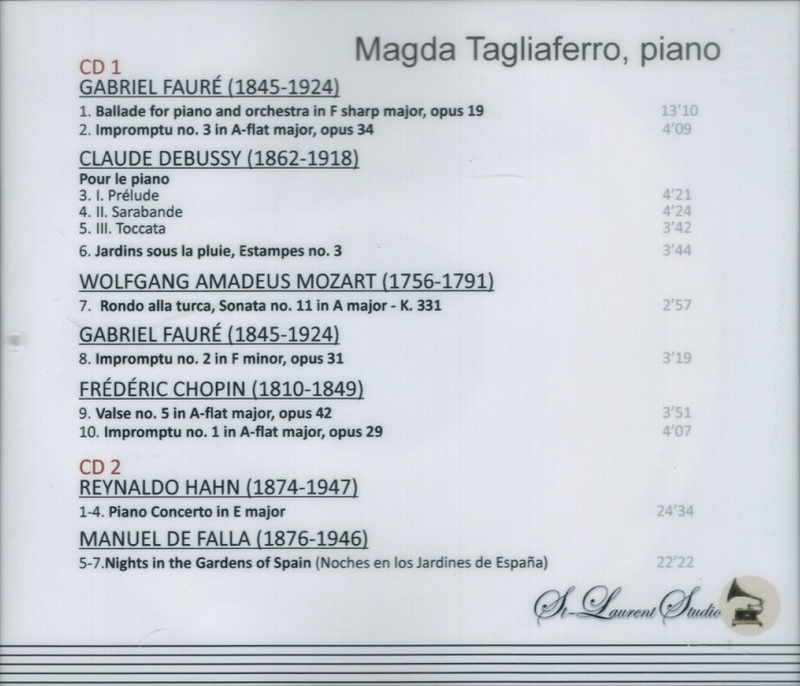 MAGDA TAGLIAFERRO: Mozart, Debussy, Fauré & Chopin; w.Coppola Cond. 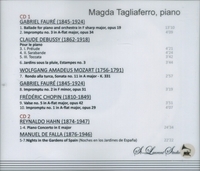 : Ballade in F-sharp (Fauré); w.Pedro Freitas-Branco Cond. Toulouse Orch. : Noces en los Jardines de España (de Falla); w.Reynaldo Hahn Cond. : Piano Concerto in E (Cond. by the Composer). 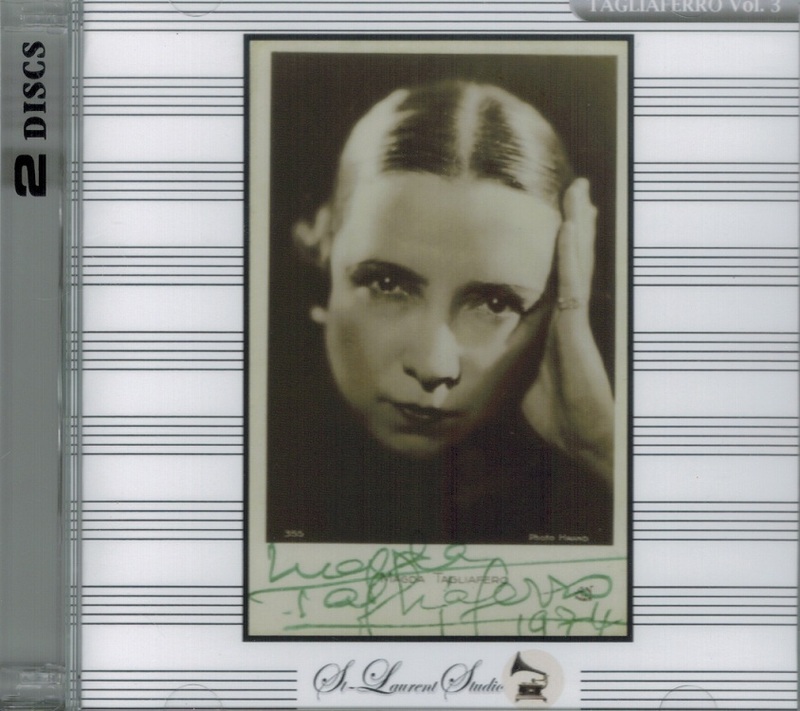 (Canada) 2-St Laurent Studio YSL 78-218, recorded 1928-52. Transfers by Yves St Laurent.